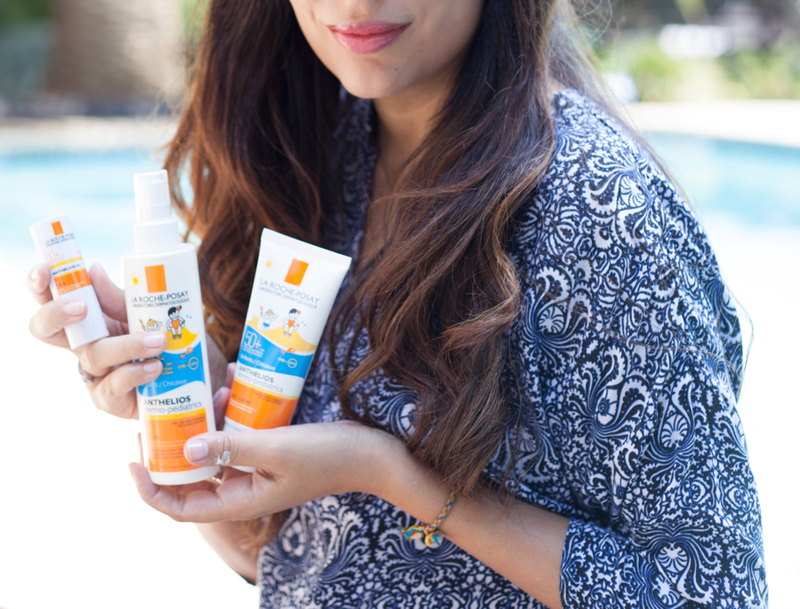 Did you know that kids that aren't protected properly from the sunlight may suffer skin cancer as adults? Recent studies by the American Academy of Dermatology in San Diego demonstrated this. They also warned that, contrary to popular belief, people with dark skin are more likely to die from skin cancer than those with fairer skin. "There's a perception that people with darker skin don't have to worry about skin cancer, but that's not true". Even on cloudy, cool, or overcast days, UV rays travel through the clouds and reflect off sand, water, and even concrete. That's why I am very concerned while I am outdoors to take care of not only my skin but also of my son's. 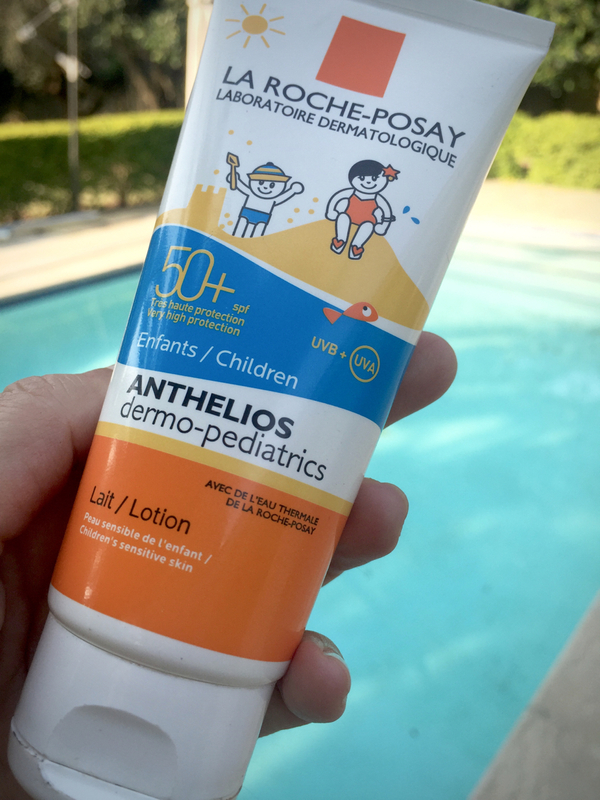 Today I am reviewing some Anthelios Sun Care products from La Roche - Posay, suitable for adults and kids. 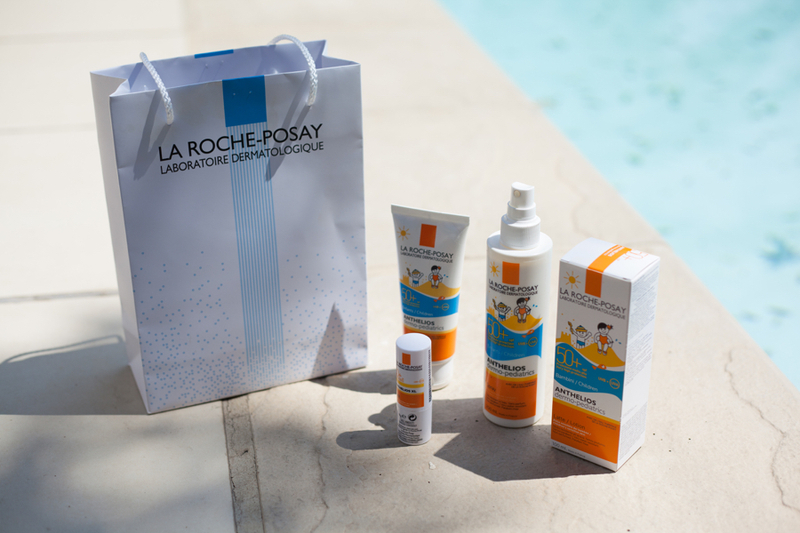 La Roche-Posay is a French Dermatology skin care company recommended by more than 25.000 Dermatologists worldwide. I loved the fact that my son didn't complain when I applied it on her face. It is water resistant and paraben free. It is white, thick and very easy to apply. 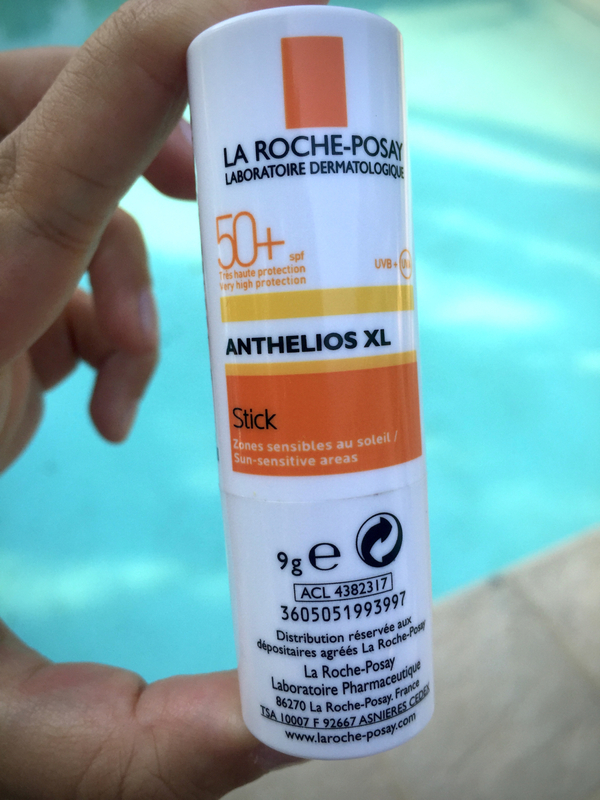 It leaves a bit of white residue, but this doesn't bother me as it feels like it's really protecting my skin from the sun. I recommend you to use this product from neck to feet. 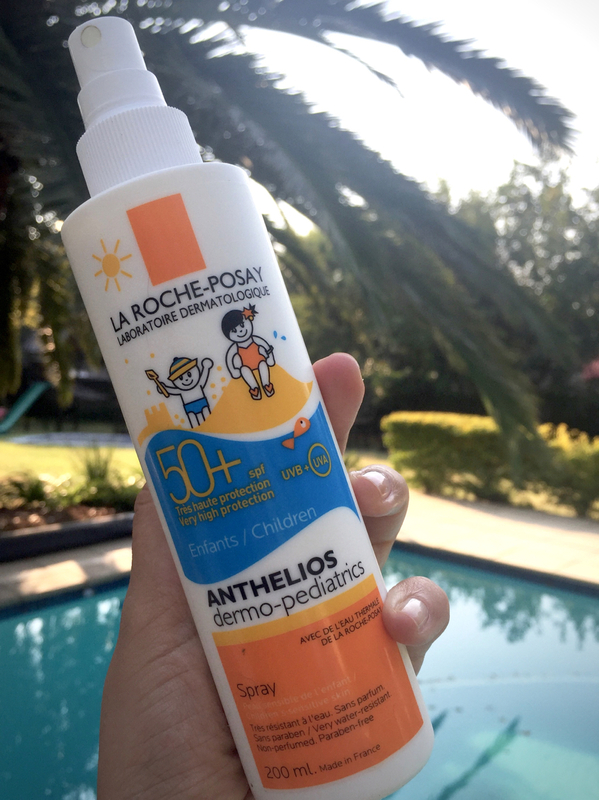 As I know that sometimes our kids dislike it when we apply sunscreens on them, make it fun, play games and educate them at the same time by touching the parts where it should be applied. Also let them put it on themselves, even if you have to rub it in properly after. It's very important for parents to teach their kids how to have fun in the sun safely. 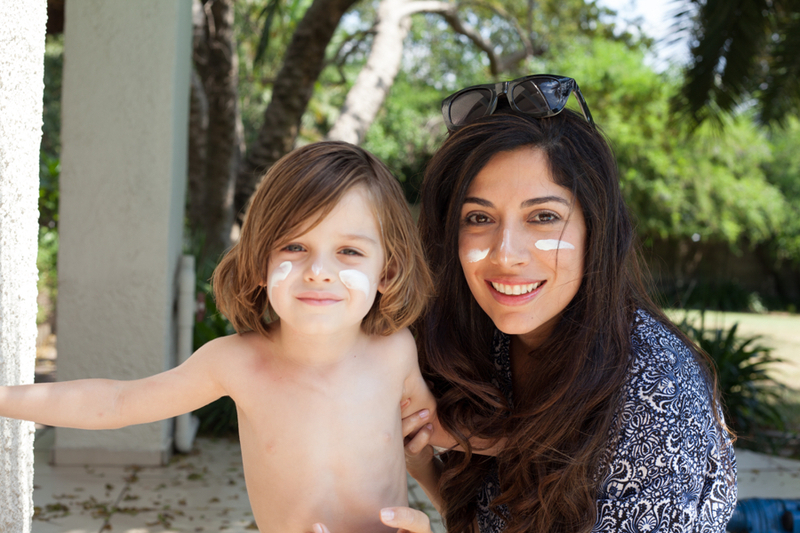 Taking the right precautions can greatly reduce your child's chance of developing skin cancer. Remember that most sun damage occurs as a result of incidental exposure during day-to-day activities, not from being at the beach. My favorite! It has a special children's formula. The texture is liquid which is very easy to rub.It has a shinny finish but amazingly is not greasy. Water resistant. Good for face and body. For face it can even be used under the make up. I recommend applying it again after swimming due its light texture. Keep in mind that infants have thinner skin and underdeveloped melanin which means that their skin burns more easily than older kids. Health experts advise people to use sunscreen with a SPF of at least 15. The lucky winner will be announce on the 9th of April! 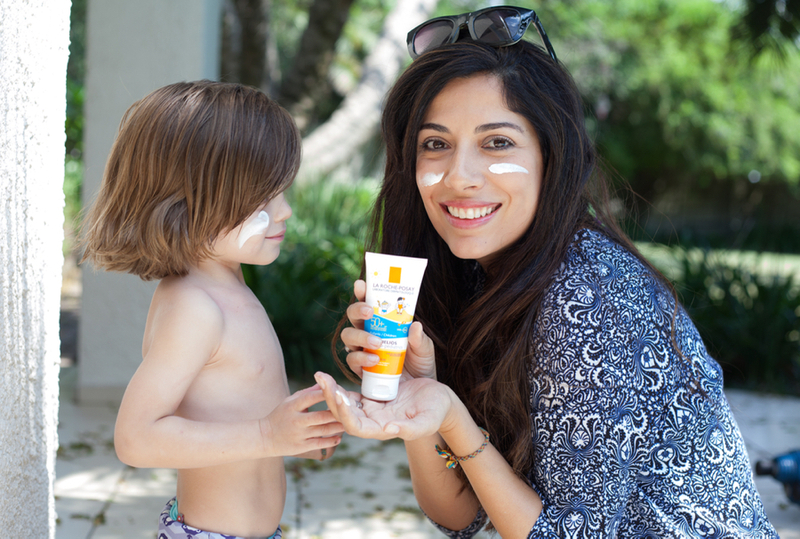 I have been on a serious hunt for a good sunscreen for my little man. I am so bummed I missed out on your awesome giveaway. 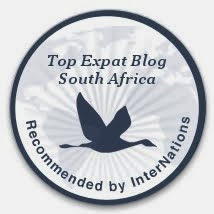 But this post made up for it with tons of good information. Thank you.